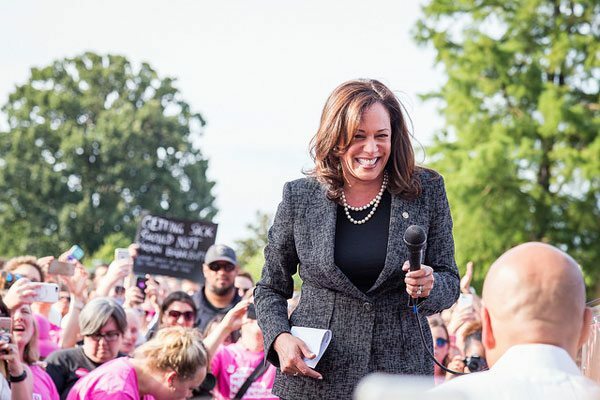 “Harris to Booker Save Our Care Rally U.S. Capitol” by Mobilus In Mobili. According to a recent article in the New York Times, the black executives have been meeting with politicians of color, including Senators Cory Booker and Kamala Harris, and former attorney general Eric H. Holder, Jr., as well as think tanks to refine their position. New York Times’ Kate Kelly wrote about the initial meeting in July. It was a crystallizing moment. Many attendees had long been part of an informal group of friends and associates who raised money for philanthropies or policy issues on an ad hoc basis. At the dinner, they decided it was time to use their wealth and stature in a more formal way. Though the group is still forming and many do not see their mandate as one that narrows down to race, participants are focused on access to education and employment and voter participation.